One of the things that I like about having a blog is that because of it, I can air my opinions, concerns, and thoughts about the things that has touched my heart, piqued my interest, and stirred up my compassion. As a teacher, I do have my own advocacy that I follow and support. Recently though I stumbled upon MTV's EXIT Advocacy which is to END EXPLOITATION AND TRAFFICKING. This really struck a chord especially when I found out that most of their targets are young people. So recently I was quite privileged to attend the Media Presentation and Award Ceremony of the National Youth Summit of The Movement of Anti-Trafficking Advocates (MATA) that was spearheaded by MTV EXIT End Exploitation and Trafficking last October 29 at the Crowne Plaza Manila Galleria. I was able to go there because my blogger sis/bff/cuz/ aka JEN invited me to go with her here and I'm really glad that she did coz I really learned a lot and its something that I said that I'm really going to blog and share about here. With bloggers rising up and becoming known as influencing the SOCIAL MEDIA, it is indeed good to share concerns such as this so that people will become more aware and actively support about this. So first things first, what does it mean when we say human trafficking? According to the United Nations, Trafficking is defined as the "recruitment, transportation, and receipt of a person for sexual or economical exploitation by force, fraud, coercion or deception" in order to make a profit. Sadly, the majority of victims of trafficking came from Asia and the Pacific. It is the second-largest illegal trade after drugs, with criminal traffickers earning over US $10 billion every year through the buying and selling of human beings. Often the victims are young men and women, the MTV demographic, who are guilty only of wanting a better life. So in the desire to address this issue and involve the people directly concerned about this, MTV EXIT and the Visayan Fourm Foundation launched the first ever National Creative Youth Summit for the the Movement of Anti-Trafficking where a three day media camp from October 26 to 28 was conducted by leading Filipino talents from the film, theatre, and music industries of 'Dakila' and were inspired strengthened in their creative skills by challenging them to produce a campaign plan to take back to their local communities to spread the critical social messages. The summit commenced with a 2-day forum that brought together 110 youth participants, ages 16 to 26 years old from across the Philippines for a series of inspirational workshops and discussions to educate them on the critical social issue and explore various methods to contribute to the anit-trafficking movement. So last October 29 and this official media presentation and award ceremony was conducted at Crowne Plaza Manila Galleria where MTV EXIT and the Visayan Forum Foundation to conclude this first ever National Creative Youth Summit for the Movement of Anti-Trafficking that happened last October 24 to 28, in partnership with United States Agency for International Development and the Australian Government Aid Program to empower the Filipino youth to spread the awareness on human trafficking and exploitation. There were several speakers who were also present last October 29 that helped raise this awareness in human trafficking. We listened to representatives from AusAID, Yahoo, and even from our own government commending the young people involved in this movement against trafficking. One common theme that echoed among the speakers was how influential the young people have nowadays and that by empowering the young people with right knowledge and skills, they will able to help a lot in spreading the word and informing others about Trafficking and how to avoid being a victim. With Facebook, Twitter, and the power of Filipino social networking -- getting people to be involved and informed is more easy than before. The day ended with a free outdoor LIVE concert sponsored by MTV EXIT in partnership- with USAID & AusAID at the SM Mall of Asia concert grounds to help further increase awareness about the dangers of human trafficking. MTV EXIT LIVE IN MANILA free concert was headlined by Korean pop sensation, Jay Park, and joined by the line-up of Evaline, a California alternative rock band, and top local artists Parokya Ni Edgar, Pupil, Ebe Dancel, Itchyworms, and hosted by MTV VJ Holly. International singer-songwriter & anti-trafficking advocate, Jason Mraz, joined the fight against human trafficking by making a surprise visit at the recent MTV EXIT Live in Manila concert! If you weren't able to watch MTV EXIT Live in Manila Concert, don't worry! GMA NEWS TV Channel 11 in the Philippines will be premiering this on November 20, 2011, at 9:55 PM. So don't forget to check this out later this evening! 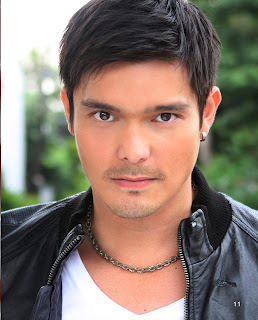 Also, MTV EXIT recently announced the release of the new documentary film - ENSLAVED: An MTV EXIT Special by Dingdong Dantes, which will premiere on GMA NEWS TV Channel 11, on November 27, at 9:55 p.m. Please don't miss out on this, it is very informative and really raises the awareness on the kind and level of human trafficking and exploitation that is occurring here in the Philippines. I already had a sneak peek at this documentary and I assure you, its something you musn't miss out. So my dear coffeeholics, set the date! Remind yourselves to watch this and find out how important it is that we all get involved in ending this in our country.